In case you didn’t hear it via our newsletter (which you should totally sign up for!) 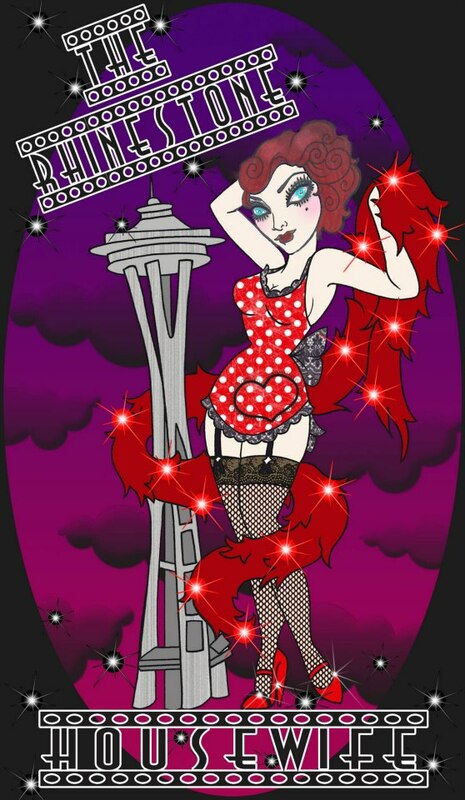 The Rhinestone Housewife is pleased to announce a shiny new partnership with Villainess Soaps! We are currently perfecting a brand new exclusive scent that will be available in the next couple of months but in the meantime we wanted to bring you some fun seasonal soaps to play with. 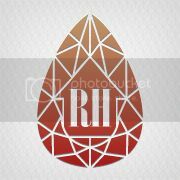 We will gradually be expanding our stock to include more products to stay tuned. 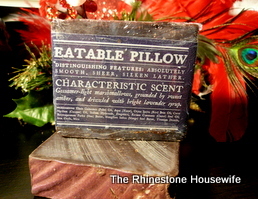 Characteristic Scent:Gossamer-light marshmallows, grounded by sweet amber, and drizzled with bright lavender syrup. Distinguishing Features: Absolutely smooth, silken filling in an orange peel crust. 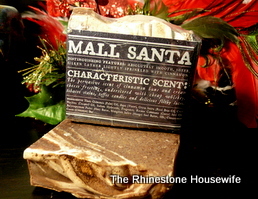 Characteristic Scent:Blood oranges dripping over a warm, resinous vanilla, wrappedin a dry peel of orange zest. Colour:Cinnamon swirled with Cream Cheese frosting. Distinguishing Features: Absolutely smooth, sheer, silken lather lightly sprinkled with cinnamon. Characteristic Scent:The pervasive scent of cinnamon buns and cream cheese frosting, underscored with cheap whiskey, tobacco stains, toffee candies and delicious filthy lucre. Colour: Red, White and Green stripes. Distinguishing Features: Absolutely smooth, sheer, silken latherl. 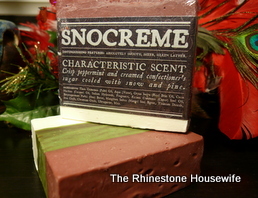 Characteristic Scent:Crisp peppermint and creamed confectioner’s sugar cooled with snow and pine. 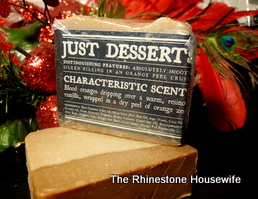 If you are interested in checking out more products, head on over to the Villainess Soaps site and take a look see at the huge array of products they have to offer.